Our Mission: To achieve a safe, positive environment where no matter your level of skill - you're accepted and have opportunity to grow in the area of dance. Grow not only as a dancer, but as a person where respect, character, confidence & discipline are reached. This making our community a better place, one person at a time. The above mission statement says it all. For the past 42 years dance has been a huge part of my life, training with Robert Christopher, Joe Tremaine, Marcea, Christopher Smith, Tony Copolla, Bill Evans, Park Avenue Dance Company, Jerry Rose, Scott Benson, Holly Humphry, of course Miss Joy and much more. I feel so blessed to share my life experience with your children. I am so proud to share this opportunity with my dynamic staff. Please meet all of us! Crystal Hallenbeck has been a part of the Gotta Dance faculty since 2001. She began dancing at the age of 2 ½ and has loved every minute of it. Through Miss. Amy, Crystal has been given many opportunities to travel to dance conventions and dance workshops. These include conventions in New York City and Toronto. In 2006, she received her Bachelor’s Degree from The College at Brockport where she majored in both accounting and dance. While in college, Crystal was a member of Brockport’s Dance Team, which performed at football and basketball games. Over the years, Crystal’s choreography has been utilized by the Albion High School Cheerleader’s and has been seen in the 4-H Fair Talent Show. Crystal continues to pursue her love of dance by taking dance classes herself. Currently, she is enjoying ballroom lessons at Arthur Murray Dance Studio and loves participating in the adult dance classes at Gotta Dance. In the past, she has taken lessons at Park Avenue Dance Studio and has also taken Zumba lessons. While Crystal is not dancing, she is the Senior Financial Analyst at The College at Brockport. She is also currently a graduate student, working towards a MS degree in Forensic Accounting. Throughout her years at Gotta Dance, Crystal has strived to make dancing a fun experience for all. She has enjoyed working with all of the students and hopes to share her love of dance with them for many years to come. Gloria Lear has been a Dance Instructor at Gotta Dance for ten years teaching various disciplines of dance such as Tap, Jazz, and Hip-Hop. Dance gives Gloria the opportunity to use her creativity and she loves to watch her creations come to life. Outside of dance, Gloria is a mother of three; Trevor, Janie, and Rylie, and is happily married to Skip Lear. Gloria holds a degree in Business Administration and is currently enrolled in a Bachelors program for Public Health Education. "I am fortunate to work with such wonderful people at Gotta Dance and to participate in something that I have loved all my life!" Kristin Rowell earned a bachelor of fine arts in dance from SUNY Brockport. During her time at Brockport, Kristin had the great honor of working with the Jose Limon Company, Garth Fagan along with several professors and guest artist. While at Brockport, Kristin was a member of the Kista Tucker Dance Company. After graduating Kristin became a member of the Buffalo Contemporary Dance Company. Not only does Kristin have a strong back ground in classical ballet and modern dance, but she has an extensive background in musical theater as well. Performing in such shows as Cabaret, Oliver, Barnum and many others. Kristin was a teacher at the buffalo school of performing and visual arts, where she severed as the head of the ballet department. Kristin is looking forward to the upcoming dance year. I'm Lauren Thomas I have been Student Teaching for the past two years at Gotta Dance with Miss Gabe. This year I am so excited to be teaching Wednesday's! I look forward to sharing my love and knowledge of dance with your children. ​ Adrianna Grieco hails from Albany NY where she received her early dance training under the direction of Marcus Rogers. Adrianna began assisting classes at the age of fourteen which then facilitated her to teach and choreograph for dance studios in the Albany area. After her time as a seasoned competitive dancer and model for Curtain Call Costumes, Adrianna dedicated her time to Saratoga Performing Arts Center’s Classical Kids Program which offers children the opportunity to experience all forms of classical art, music, and dance. Adrianna has been the lead choreographer for theater productions Performance School of the Arts where she worked with children ages 5-12. She continues to pursue her dancing career at The College at Brockport and is expected to graduate with her Bachelors degree in Dance and Health Sciences in 2019. Her latest accomplishments include performing and touring in the Rochester area as a member of Chamber Ballet Brockport under the direction of Vanessa Van Wormer and Sankofa under the direction of Khalid Abdul N’Faly Saleem. Adrianna looks forward to teaching in a new studio setting that she can call her home. She encourages kids to strive for the best while inspiring them through knowledge accumulated through the professional dance world. Most importantly, she is thrilled to share her talents with the Gotta Dance family! Not only did Miss Adrianna dance and train in Australia, she also had time to film this commercial! Please welcome back Miss Amber. Amber has been a student of Miss Amy's since she was five years old. She later joined our teaching staff where she taught for 5 years. She has had some time away to marry her man of her dreams and to raise her two children. We are so excited to welcome you back to the staff. 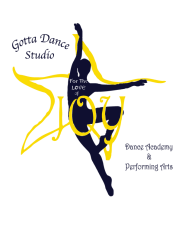 Specializing but not limited to just that age, you will find Miss Amber excelling with the little stars at the studio with her patience, sincerity and love of teaching dance. Valerie attended college at Niagara University for Psychology and graduated in 2002 with a Bachelors of Art in Psychology and minor in Theatre. In May of 2004, Valerie graduated with a MS Ed. in School Counseling and began her career as a school counselor at the Albion High School. During her time at the high school, Valerie has assisted with the high school musical productions as a choreographer. Valerie was part of the Gotta Dance family as an instructor for several years. This year Valerie is looking forward to the opportunity to help Miss Amy with her new musical theatre class! Miss Anna Atwater has been teaching voice lessons at Gotta Dance since September 2017 and has been the elementary vocal music teacher at Albion since September 2015. She completed her Masters of Music in Vocal Performance at Austin Peay State University in Clarksville, TN (2014) and her Bachelors of Music in Music Education from SUNY Fredonia (2012). She currently sings with Voices and Concentus Women’s Chorus, two highly-regarded choirs in Rochester, NY. Voice lessons with Anna are targeted for middle school students and older. These lessons focus on the enjoyment of music while improving breath support, sight reading, vocal technique, and confidence in singing and performing! Staff we welcome back in the future! Wishing Miss Claire a beautiful year with her new baby, Griffin. Claire Harvey began teaching at Gotta Dance Stdio in the fall of 2010 after graduating from Oneonta State College where she dual majored in Advertising & Studio Art. In her time at the college, Claire was a dancer & choreographer for the Terpsichorean Dance Company where she assisted in the organization of two yearly performances featuring over 150 dancers. Claire continues to study dance outside of the Gotta Dance classroom in hopes to bring even more knowledge and experience to the table for her students. At Gotta Dance Studio, Claire teaches, Tap, Jazz, Hip Hop, Ballet, & Jazz Technique. "Being a member of the Gotta Dance team gives me the opportunity to show who I really am, and working with such talented, passionate dancers allows me to share my love of dance with the next generation." Wishing Miss Claire a wonderful maternity leave to enjoy her family! We will miss you. Wishing Miss Michayla a successful first year of college. You will be missed. Michayla Kovaleski has been dancing with Miss Amy and her fabulous staff ever since she was 2. Michayla participates in many of the senior classes offered at Miss Amy’s and she continuously seeks out other dance experiences as well. During the summer of 2013 Michayla traveled to Mississippi to participate in a summer dance intensive with the professional touring companies of Ballet Magnificat! Michayla also performed with “Clarity Dance Company” (with Miss Claire) in the New York State Dance Challenge competition this summer and achieved “Gold” status with a lyrical solo and small group number. She has also studied the Vaganova method of ballet with a former Russian ballerina in Rochester, NY. She is honored and truly blessed to have this amazing opportunity at Gotta Dance this year and is excited to begin teaching! Best Wishes Michayla on your college journey. We will miss you but look forward to your visits! Miss Gabe is so excited to work with your little ones this year! She has performed in several recitals, talent showcases and loves the thrill of performing. Even more than performing, Miss Gabe's sincere love for children is her true passion. She currently works at Rainbow Preschool, where she is an aide to kids with autism and other special needs. She absolutely loves her job and excited to share the skills learned there with your children! Miss Gabe attends First Baptist Church of Holley and helps with the kid's programs there as well. One of her hobbies is riding her horse, Chester! of teaching, serving, and loving your kids through dance! I hope to always bring smiles, and joy to the hearts of everyone I encounter." Miss Sydney in not a stranger to our studio family. She has joined our studio from a former city dance school. Our past four years with Sydney have been amazing, watching her develop her skills and motivation in dance. She was the first recipient to receive The Power House Award in 2016. Sydney brings to the dance floor a positive attitude with precision dance movement. She will be team teaching with Miss Amber as well as instructing her own classes. I can't wait for you to work with Miss Sydney. Karen received her Bachelor of Music from Mansfield University in 1991 in Music Therapy with a vocal concentration. She received her Advanced Certificate in Music Education from Roberts Wesleyan College in 1998 and later received her Masters in Interdisciplinary Arts for Children from SUNY Brockport in 2003. Karen Has worked as a music therapist for the past 21 years and this will be her 15th year as a teacher. Karen currently works at Albion Central School as a Kindergarten and 6th grade general music teacher and district music therapist. This is Karen’s 4th year leading the Middle School Glee Club. self-confidence and finding songs that work within their vocal range. Whether you are a beginner or a more experienced student, Karen will make you feel at ease with her laid back approach.